Electric vehicles are a clean alternative to traditional vehicles – especially when the electricity that fuels them comes from renewables like the hydroelectricity we provide our customers. Be part of our customer feedback group! Get updates and provide input on electric vehicle programs and events from Tacoma Power. Do you own an electric vehicle, have your own charger, and buy your electricity from Tacoma Power? If so, you could earn up to $500. If you qualify for our two-year Electric Vehicle Charging Study, making $500 is easy! All you do is take occasional surveys and share data about your EV charging patterns and use. 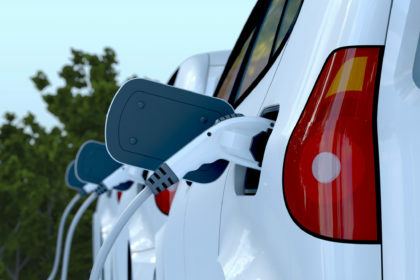 The information gathered will help provide current and future EV drivers with new benefits, education, and other useful resources. To learn more and sign up for announcements about this exciting pilot, visit EV Charging Study. How far does $3 drive your car? Understand your savings potential using our EV savings calculator. Learn more about available federal tax credits and WA state sales exemptions for EVs. Need a charge? Visit our map to find an EV charging station on your route. Tacoma Power customers who are interested in lowering their carbon footprint by switching to electric vehicles have an advantage over residents in other parts of our region. Our electricity comes from 89% hydroelectricity from local dams and is 96% carbon free. When you switch to an electric vehicle that uses electricity from Tacoma Power, you’ll significantly lower your carbon footprint. You’ll also save money on fuel costs. In Washington, it costs an average of $0.86 per gallon to fuel an EV (when translating the energy content of electricity to gallons of gas). Our rates are lower in Tacoma, so it’s even cheaper. Compare this to an average of $2.80 per gallon for gas in Tacoma and the savings add up fast. Looking for other ways to lower your carbon footprint or save energy? Find out more about how we are electrifying our fleet at TPU!